NEEDS, or Newcomers Employment and Education Development Services Inc., has been helping to connect immigrants and refugees to local services in Winnipeg since 1999. 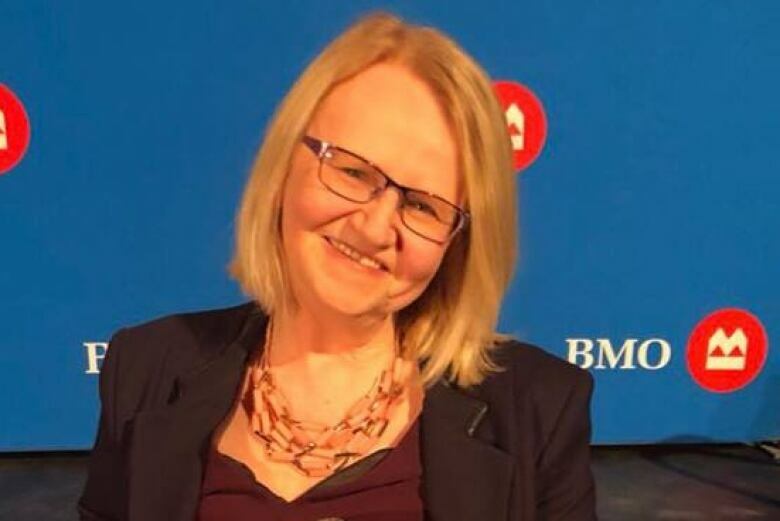 A Winnipeg woman is celebrating 20 years of giving back to her community by helping newcomers — and it all started with her own challenges and experience as a new Canadian. Margaret von Lau started Newcomers Employment and Education Development Services, or NEEDS Inc., a decade after she immigrated to Canada in 1989. She says she left Poland to find a better life. But it wasn't always an easy process. "As a single mom at the time, on social assistance, I was having a lot of difficulties on the path to finding employment," said von Lau. She went in search of other women in her position and found that her struggles were not unique, and that immigrant and refugee women don't always have clear access to supports here in Winnipeg. But she was determined to change that. Being amongst women who were facing similar challenges made it easier to figure out what she needed, von Lau said, "especially in the job market but also with mental health. We just didn't know where to go for that kind of help." Von Lau applied to the Winnipeg Foundation for the funding to start her own organization, and launched NEEDS in 1999. Her goal: to have a program tailored to the needs of newcomers — with input from people who truly knew the challenges. "It's grassroots," said von Lau. "[Newcomers] should have some kind of input for what kind of services they should have." Although NEEDS started as a program for women, it now offers supports to newcomer youth and, by extension, their families. Von Lau says she thinks offering support to young people will help them in the long run — especially when it comes to finding a job. "Employment is one of the most important [things] for newcomers, to give them dignity, give them opportunities to be self-sufficient." On Thursday night, NEEDS is celebrating 20 years of helping newcomers. It's hosting a gala dinner to bring together past and present clients. Von Lau says she's excited just thinking about the opportunity to look back at all of the people the group has helped. Dalili Lokwa will be speaking at the event. He joined NEEDS in 2013 when he was 19 years old. He came to Canada as a refugee after his family fled war in Congo. But just like von Lau, Lokwa didn't know where to turn once he arrived in Winnipeg. "I was put into a regular class with all of the Canadian kids. I was the only black kid in my class, and it scared me." "When I went to NEEDS, I got to meet youth from all parts of Africa. I actually found people that looked like me. I wasn't the only refugee, you know? So I started being confident. I started loving myself. I started working hard. "I started feeling like this was home." Lokwa says he was inspired by von Lau. He volunteered with NEEDS for years before deciding to go back to school. He's now studying to become a teaching assistant at Red River College. "I just want to give back, and I know that because of NEEDS," says Lokwa. "Back in the [Democratic Republic of Congo], my story was written for me, you know? I want to help youth write their own stories." Lokwa says he's excited to share his story with other refugees. He knows from experience, he says, just how important those stories can be.